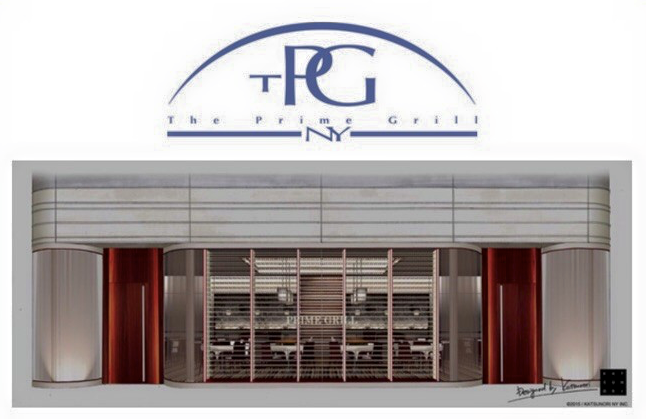 This Friday, August 21st, will be the last day open for The Prime Grill at its current W55th street location. As of this coming Sunday, August 23rd, The Prime Grill will officially be open inside the Sony Building on Madison Ave between E55th & 56th streets. The Prime Grill had moved to its W55th street location only 2+ years ago. The new space was most recently occupied by 2 former Prime Group restaurants: the short-lived Butterfish, and previously, Solo (which itself had changed multiple times before closing). The restaurant features three intimate private dining rooms for large groups or events. The restaurant space has always been beautiful, even though it’s a bit tucked away inside the atrium of the Sony Building. Next door to the new Prime Grill space is the Prime Group’s Pizza da Solo, probably one of the best (and most expensive) kosher pizzerias on the planet. The new Prime Grill location also brings some welcome changes as they will now be open Friday night for Shabbat meals (preordered), as well as for Sunday brunches, and for Rosh Hashanah dinners.